Published May 10, 2018 By Julia 1 CommentThis post may contain affiliate links. Hunan beef is a fast Chinese beef stir fry with a spicy sauce, taking less than 20 minutes from start to finish. Low carb and gluten free. Hunan beef is a Chinese stir fry recipe, with sliced beef fried in hot oil and tossed in a spicy sauce with garlic and cumin. It’s named after the Hunan Province and the cuisine found there, well known for their spicy foods and strong flavors. 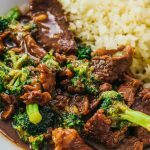 Unlike Mongolian Beef or Beef and Broccoli, it doesn’t contain any sweetener and uses less soy sauce. There isn’t actually a specific dish called “Hunan Beef” in China, as this is more of an American invention popularized by restaurants in the US, catering to American tastes. 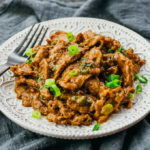 However, this beef dish uses cooking techniques and ingredients similar to what you would find in Hunan style dishes, and I’ve tried to incorporate those aspects while keeping the ingredients simple. 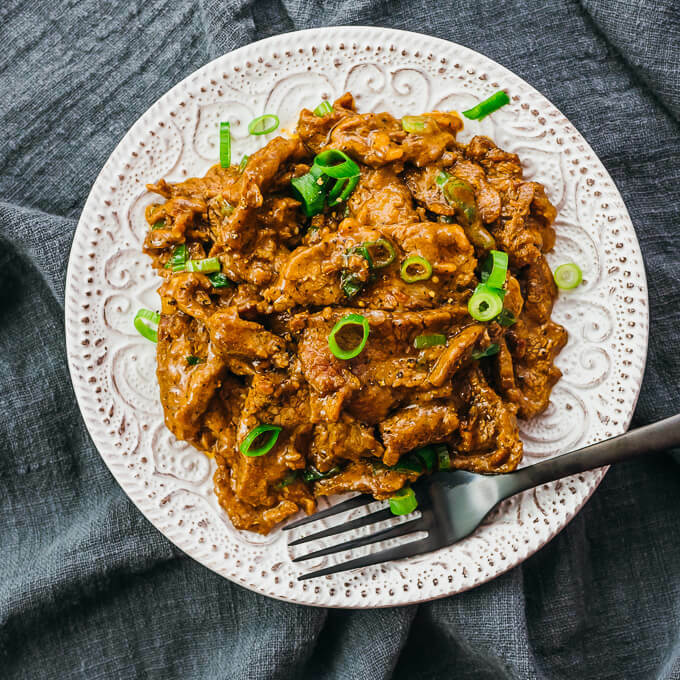 Given my parents’ extensive travel and eating experiences in China, I was able to enlist their help in developing this recipe. What does hunan beef taste like? The resulting meat is incredibly tender, thanks to both the marinade and quick stovetop searing. 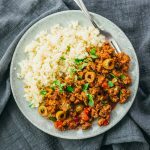 It’s so good that I usually just gobble it up as-is, but you can serve it with your favorite side dishes or cauliflower rice. The Hunan sauce is so simple and so good — the combination of cumin, garlic, ginger, and chili sauce provides amazing flavor to the beef. It’s a bit spicy, but as is the case with most spicy dishes, you can adjust to taste. I find it to only be mildly spicy, which is just the right amount for me. I recommend slicing the beef thinly and against the grain, which will make the beef taste more tender. 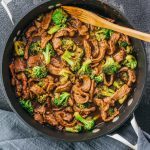 For more general guidance, you can check out these tips for cooking tender stir fry beef, which I use in all of my beef stir fry dishes including Low Carb Beef and Broccoli. The beef marinade is very important for getting that meltingly tender and velvety tasting beef. However, the beef doesn’t need to sit around in the marinade for hours in order to reap the benefits. Just make sure the beef and marinade are well stirred so that all of the liquid is soaked up, and let it sit for about 10 minutes on the counter while you chop up the scallions and prep the other ingredients. Once the cooking starts, the recipe moves fast, taking only about 5 to 10 minutes to cook everything. 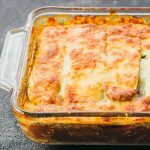 So if you’re not quite ready to serve dinner yet but want to get all of the prep work done, you can do steps 1 and 2 (see instructions below) ahead of time. This is a stir fry where beef is being fried in hot oil, so greasy splatters are expected. 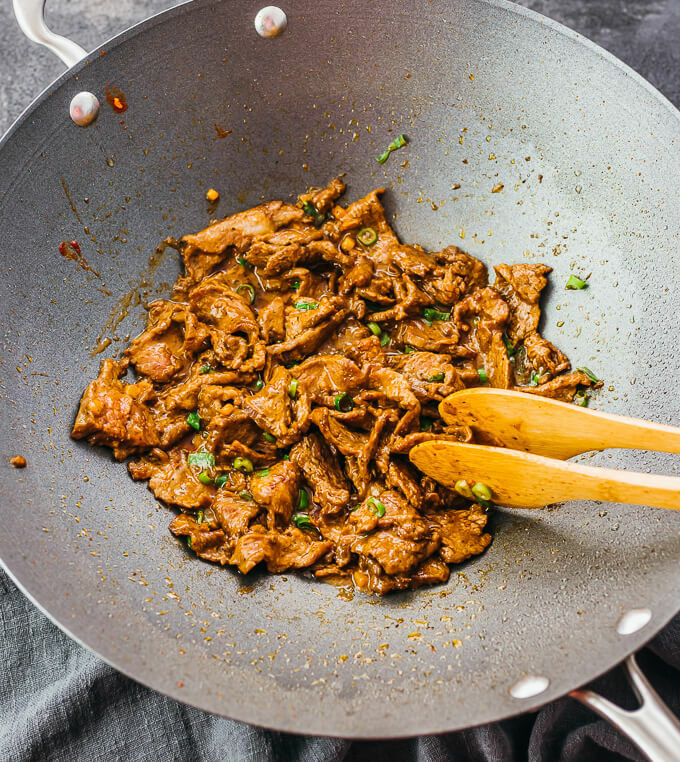 To reduce them, use a wok and a splatter guard, and make sure your beef is patted dry before adding it to the marinade. To shield yourself, wear oven mitts or other protective clothing. I use flank steak because it’s affordably priced at my local grocery store, but most steak cuts will work. I don’t recommend using precut stir fry strips because they’re usually cut way too thick. I use canola oil, and you can also use peanut oil. I don’t recommend using olive oil because of its flavor and low smoke point. Rice cooking wine is a type of traditional Chinese wine fermented from rice. It’s also known as shaoxing wine. You can buy it on Amazon, Whole Foods, or in Asian markets. Any Asian red chili sauce will work, so you can use your favorite one. I used sriracha, and if you use something else, you may need to add more or less to adjust the spiciness. You can also substitute with dried chili flakes and fresh Asian red chili peppers. Cumin is essential for the flavor of the Hunan sauce. Sometimes I even add a bit more for a stronger flavor, like 1 1/2 teaspoons. Hunan beef is a fast Chinese beef stir fry with a spicy sauce. Low carb and gluten free. In a large bowl, stir together marinade ingredients until the corn starch is dissolved. Slice the beef against the grain into thin slices (about 1/4 inch thick) and add to the bowl with the marinade. Stir the beef with the marinade until it’s all soaked up. Set aside. In a small bowl, combine all sauce ingredients, stirring together until mixed. Set aside. In a wok, add canola oil and heat over medium-high heat for a few minutes until hot. Add beef and fry in the oil for a few minutes until browned, constantly stirring and flipping the beef slices. 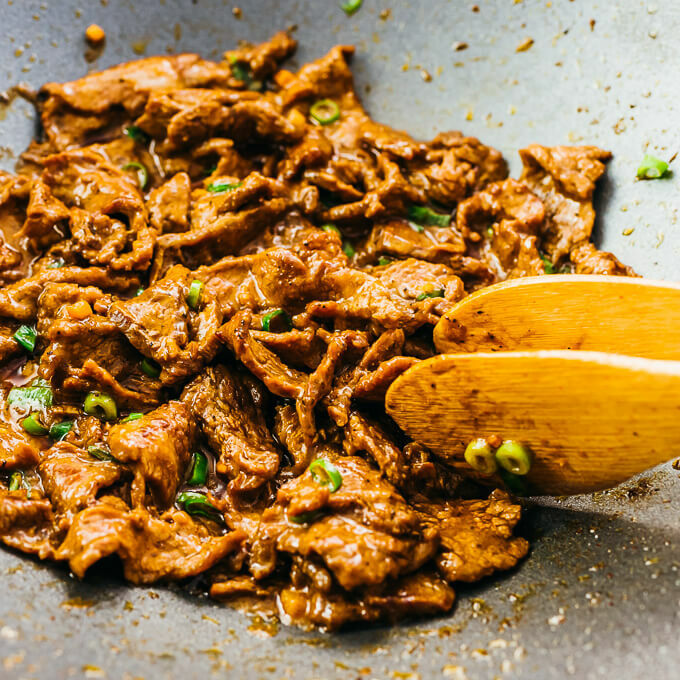 Use a slotted spoon to transfer only the beef to a plate, leaving the oil in the wok. Reduce to medium heat. Add prepared sauce and cook for less than a minute until fragrant, stirring frequently. Return the beef back to the wok and stir together with the sauce for a few minutes until well-mixed. Remove the wok from heat. Stir in sliced scallions and serve. This recipe yields 8 g net carbs per serving. This was a very fast and tasty dinner! Thank you for sharing.